10,500 annual HGVC points. Can be sold separately as 5,250 points each. Studio Plus. 3,750 Annual Points, Studio Plus, 1 Bath, Gold Season. All 2019 and future points are available! West 57th Street by Hilton Club is located in the heart of New York City and features views of Manhattan's beautiful skyline on 28 different floors. While nestled in the heart of this impressive city, you'll get to visit places such as Carnegie Hall, The Museum of Modern Art, Radio City Music Hall, Fifth Avenue shopping, and Central Park. There is no better way to enjoy New York than relaxing in a West 57th Street by Hilton Club timeshare. New York is a distinguished city that is recognized world-wide. As the third most populous state, it is known for its tourism. In fact, the city is known for being one of the most popular gateways for foreign visitors. The city is a center for finance and culture. Many people are intrigued by the architecture of the city and flock to the area to view some of the most impressive real estate. The state is also home 22 national parks and numerous historic events including some of the battles where the Revolutionary War took place in New York. There are over 260 different National Historic Landmarks in the area including the Statue of Liberty, which is on the National Register of Historic Places. The Fire Island National Seashore is another area of interest in New York that is 26 miles long and is separated from Long Island. The modern architecture beckons the visitor to enter into the West 57th Street by Hilton Club timeshare resale resort. Minimalist design is the focal point of this this oasis. The sleek and smooth lines are balanced and grounded by wood-grain appointments. The white and black with furniture accentuates the design and provides a modern decor. With the beautiful floor-to-ceiling windows, you won't ever miss the beautiful skyline of the city. The West 57th Street by Hilton Club timeshare resort features a private lobby and an onsite doorman. This ensures that your needs are addressed from the moment you walk through our doors. We have expert concierge services and an elegant owner's lounge. You have access to valet laundry service also if you're in a hurry, and you don't have time to handle your daily chores. Throughout your West 57th Street fractional ownership, you'll find places to lounge and relax. Outdoor patios and state-of-the-art televisions and stereo systems are featured throughout the residence. The granite counter tops and floral arrangements are beautiful and add a breath of fresh air to the entire residence. The spas are simply inviting and are reminiscent of new age art. When you step into the spa to receive a pedicure, manicure, or massage, you will be impressed by the well-designed seating areas and the attention paid to detail in the West 57th Street timeshares for sale. There are numerous benefits to becoming a member or timeshare owner of West 57th Street by Hilton Club timeshare. Understanding West 57th Street by Hilton Club fractional ownership is easier if you secure the services of an agent. You must first understand that owning a vacation home is superior to renting. This will help you recognize the value of paying the annual fees that is associated with West 57th Street by Hilton Club timeshare ownership. Hilton network has over 3,700 resorts to choose from if the West 57th Street by Hilton Club timeshare deals are not enough for you. The points collected through West 57th Street by Hilton Club fractional ownership can even be used at places such as the Waldorf Astoria Collection. 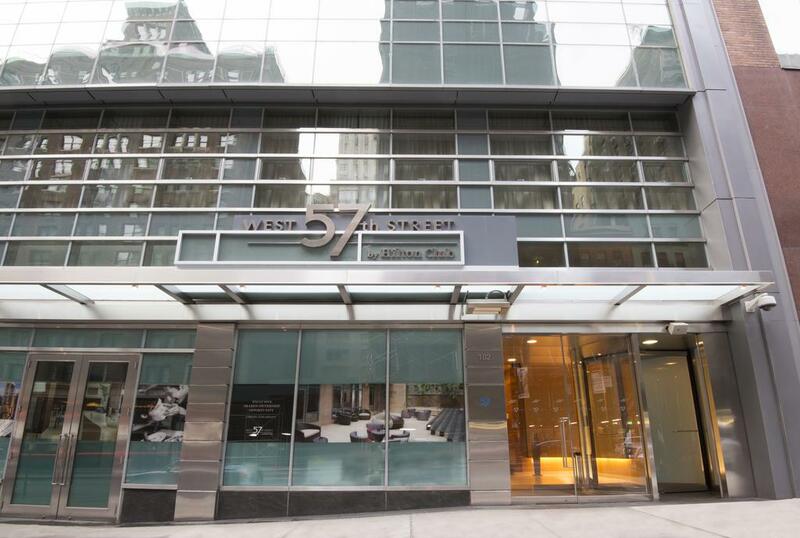 What's the Best Way to Join West 57th Street by Hilton Club? Contact an agent to discuss the one-time membership fee, the maintenance fees, annual fees and taxes. The prices will vary based on the location of the unit. Keep in mind that West 57th Street by Hilton Club timeshare resales are often more budget-friendly. Ask about these West 57th Street by Hilton Club deals when inquiring about West 57th Street by Hilton Club timeshares for sale from Premier Timeshare Resale. You'll learn about the points system and how you can redeem the points. When you understand the process, you can purchase your West 57th Street by Hilton Club.